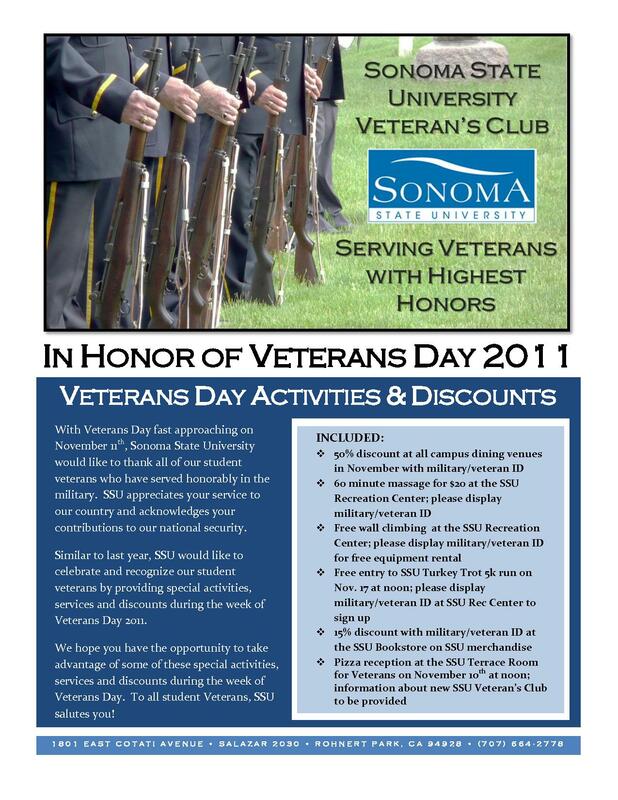 With Veterans Day on November 11th, Sonoma State University would like to thank all of its veterans who have served honorably in the military. SSU appreciates your service to the country and acknowledges your contributions to our national security. Special activities, services and discounts are available for student vets during the week of Nov. 7-11.